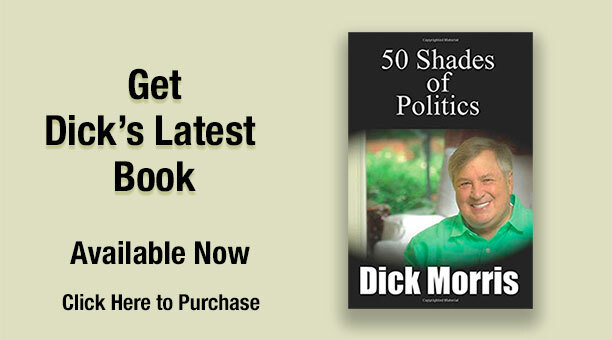 Tomorrow night, as the returns come in, log onto www.DickMorris.com and click on my audio updates. Several times each hour, I will be recording my thinking on the unfolding election results and the trends that become evident. I will NOT be on FOXNews on Election Night but I will be available on my website to offer my ideas and thinking on what is going on. I’ll be on Hannity tonight (Monday) at 9 PM ET and on O’Reilly Wednesday at 8 PM ET. But Tuesday, I’ll be online! As we all thrill to see our hard work rewarded, I can’t wait to share this evening with you. …And with your friends, invite them to log on also!!! P.S. FOXNation.com is back up and running. They have good stuff. Check them out – Go Here. FOX Nation is also hosting a Tea Party Zone on Election Day – Go Here.